There are always different ways to spin the near future and the one picked up by author Mark Alpert is as frightening as it is intelligent. Picking up on continuing advancements in real-life surveillance and cybernetics, he revives the well-trod story of artificial intelligence becoming a threat to humankind into something new and not far off. The artificial intelligence that gains sentience in Extinction isn't all machine. It's part human too. Protagonist Jim Pierce understands some of the science behind it. The retired National Security Agency (NSA) agent and ex-Army Ranger became a prosthetic engineer after losing his wife, son and an arm in a terrorist bombing. After retiring, he went on to become one of the leaders in prosthetics that link to the central nervous system, allowing bi-directional communication between the device and the brain. The factual counterparts to Alpert's thriller aren't necessarily far off. Not only is Pierce's arm a tangible innovation, but so are the artificial retina prosthetics included in his book. The surveillance system that ushers in a new sentience is also grounded in fact. It's based on hybrid insect micro-mechanical systems said be under development by the Defense Advanced Research Projects Agency (DARPA). Alpert then takes a slight leap forward by allowing another government (with fewer ethical constraints) to tap the processing power of the human brain to enhance its hybrid insect surveillance system. It's in the ethics and, perhaps, the lessons where Alpert makes his mark. By asking questions similar to those asked by Daniel Wilson in Amped but with China's perceived lack of ethical conscious as suggested by Robin Cook in Nano, Alpert covers a surprising amount of ground in this cyber thriller with globe-trotting adventure elements. The questions he asks are frightening. He wonders if healthy people will covet prosthetics. He wonders if government is already overstepping ethics with hybrid insect micro-mechanical systems. And he wonders if the promise of a human-powered super computer were within reach, whether today's super powers could resist temptation. Where Alpert succeeds especially well is not by asking what it means to be human, but by operating on the notion that technology-enhanced humans or human-enhanced technologies is the singular line we might not want to cross. As he points out in his end notes, the development of brain machine interfaces with one of the momentous trends in science. He is also right that many of these technologies will be realized outside of the U.S. and explicitly developed to curb dissidence. A couple graphs about author Mark Alpert. As a contributing editor to Scientific American, Mark Alpert has extensive experience in explaining complex scientific ideas and esoteric concepts like parallel universes into easily understood and concise summations. 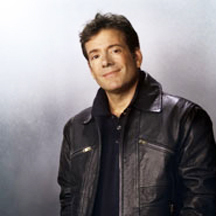 He uses this same skill set to breathe life into his fiction, which is largely based on weaving together cutting-edge technologies into fast-paced thrillers. 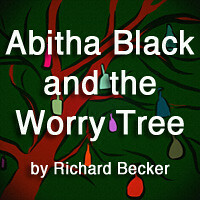 Although he had sold shorter fictional works starting in the 1980s, his first novel wasn't published until 1998. Final Theory was the story of Albert Einstein and the historic quest for the holy grail of physics, also known as the Theory of Everything. Extinction is his third novel and perhaps the closest to reality in that it parallels so closely to issues and dilemmas lurking just beneath the surface of society. Extinction By Mark Alpert Connects At 6.1 On The Liquid Hip Richter Scale. There is no doubt that Extinction is an entertaining read despite the duality of the writing, even if Alpert tends to come across more authentically when he describes, analyzes, and questions the science. Conversely, his action sequences and aloof relationships sometimes play much less mature in comparison (but not enough to spoil the greater story). 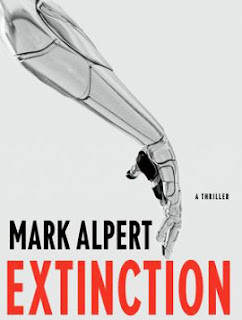 Extinction: A Thriller by Mark Alpert is available at Amazon. You can also order the novel from Barnes & Noble or download it for iBooks. The audiobook version of Extinction is readily available at iTunes. It features Todd McLaren as the narrator. He provides a good read that is easily listenable, but doesn't necessarily breathe any additional life into the story.